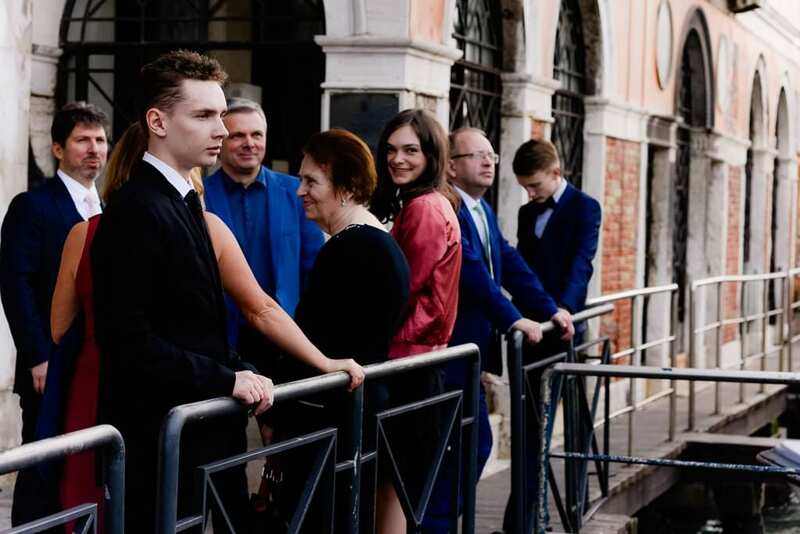 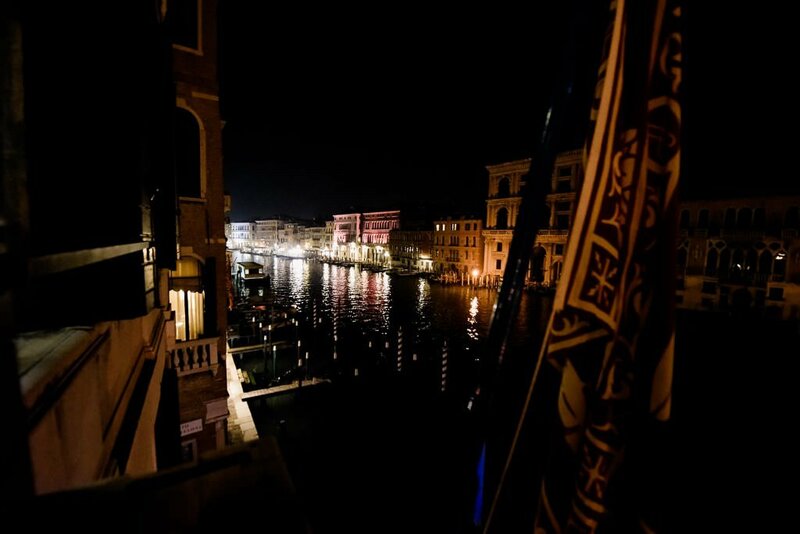 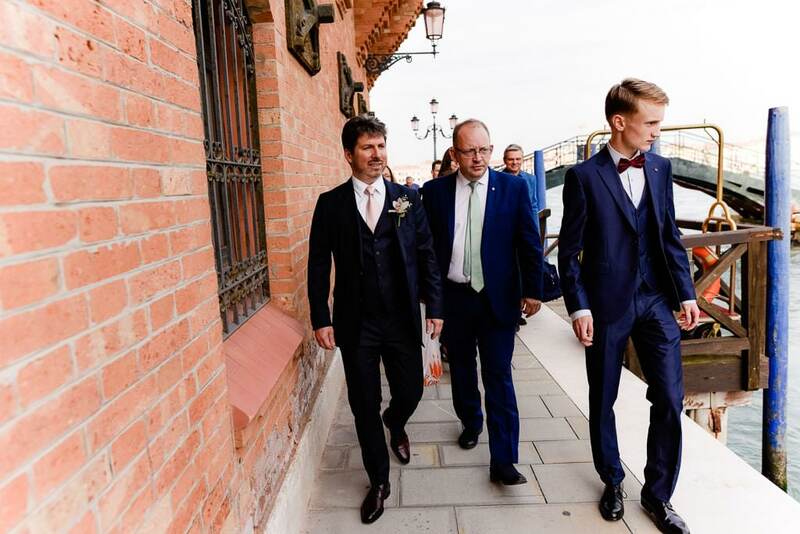 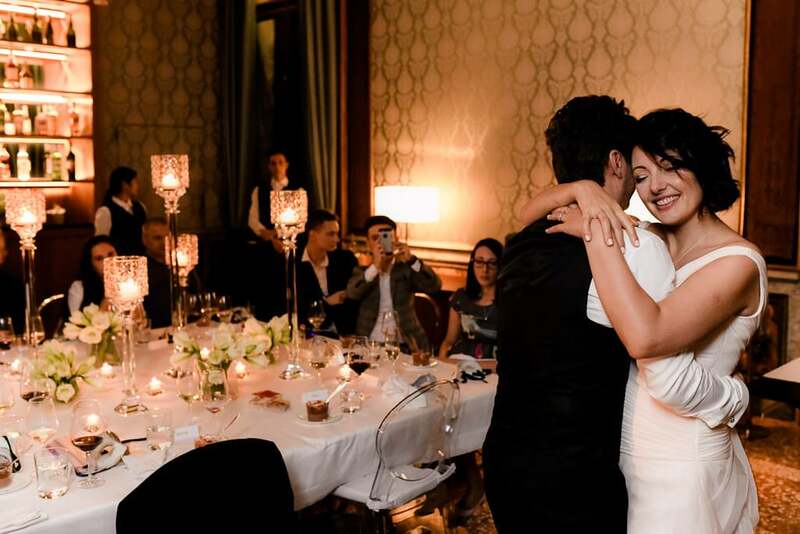 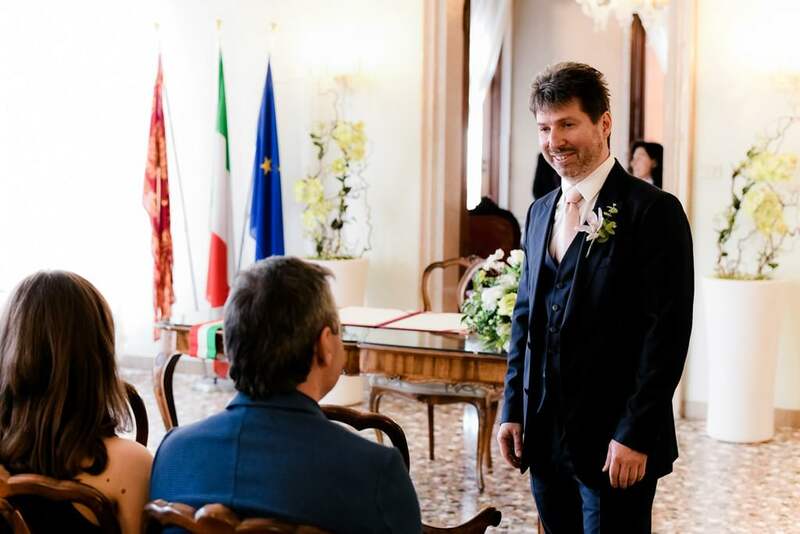 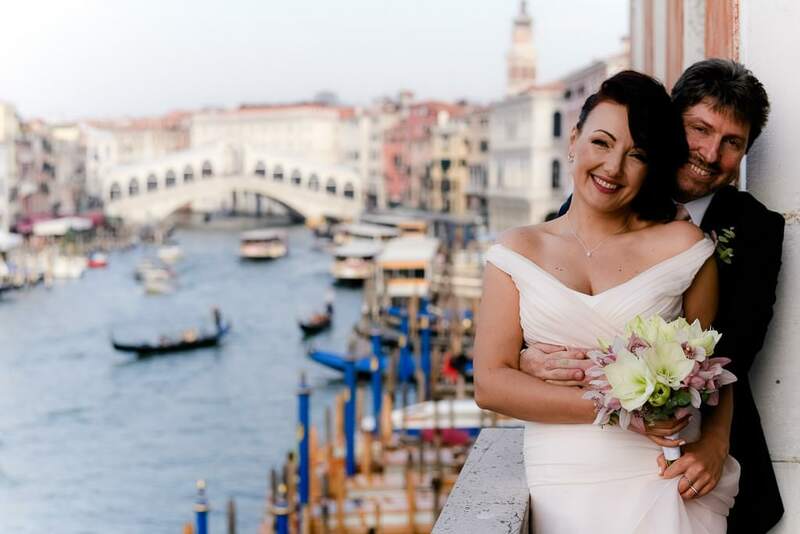 Two of the most beautiful locations of Venice, the Molino Stucky and the Aman Palace for a beautiful couple from Belarus and Ukraine – this is what this wedding is about! 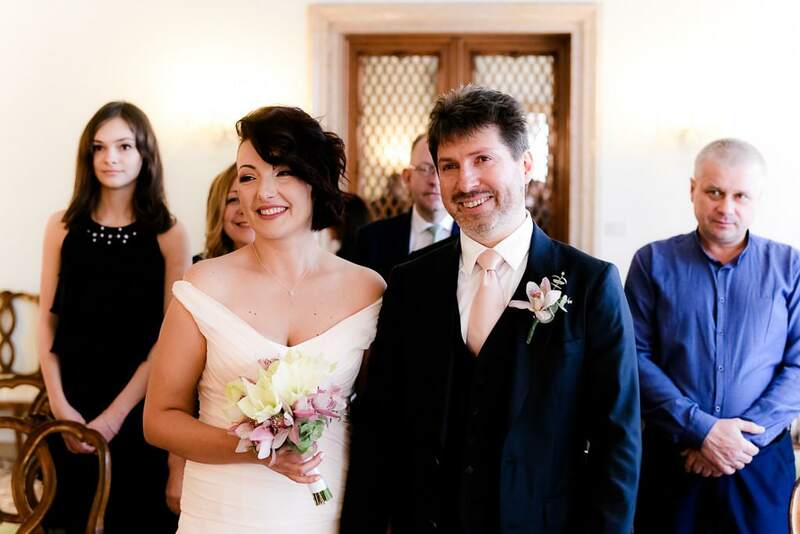 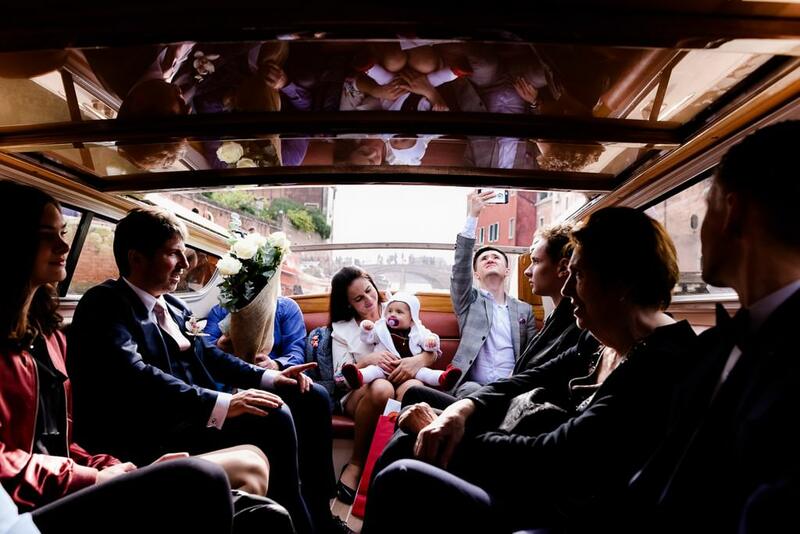 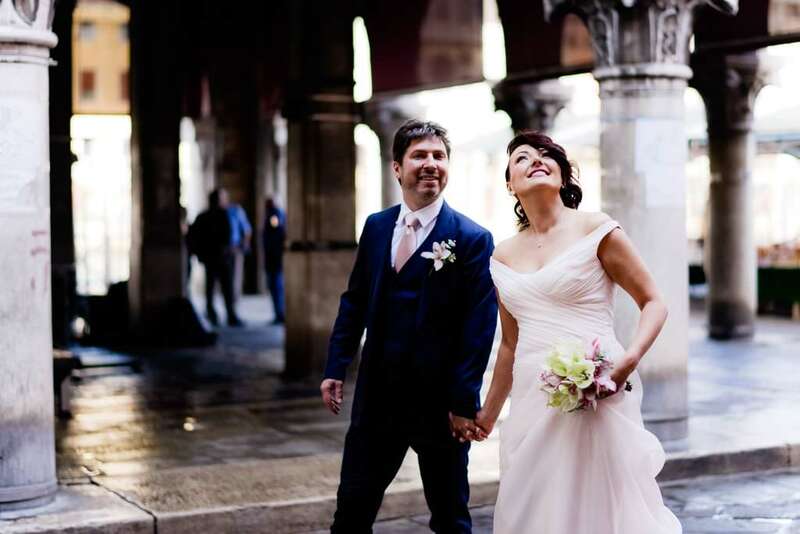 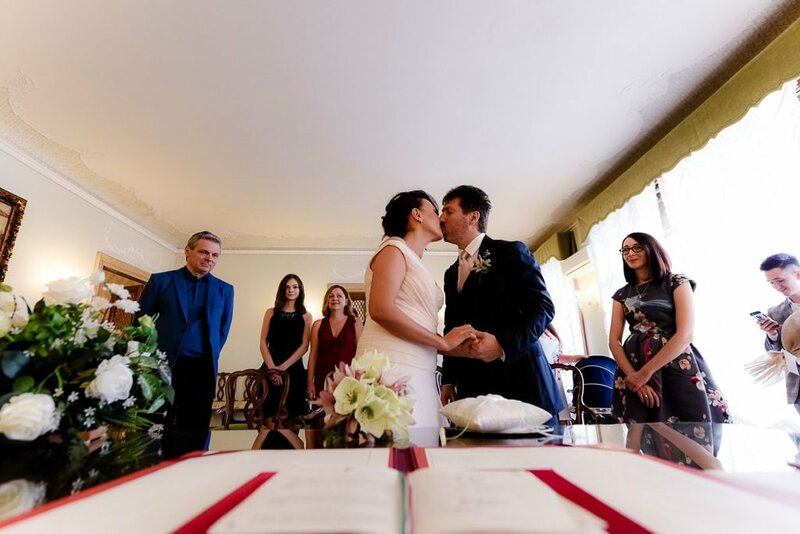 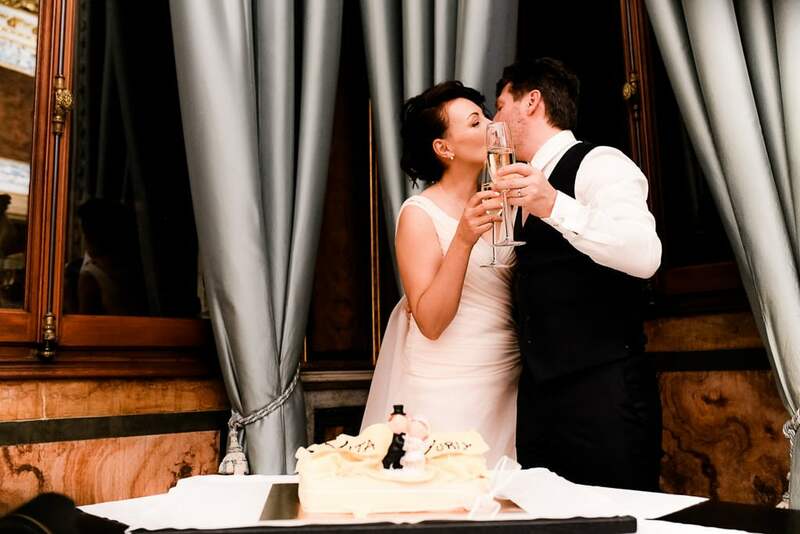 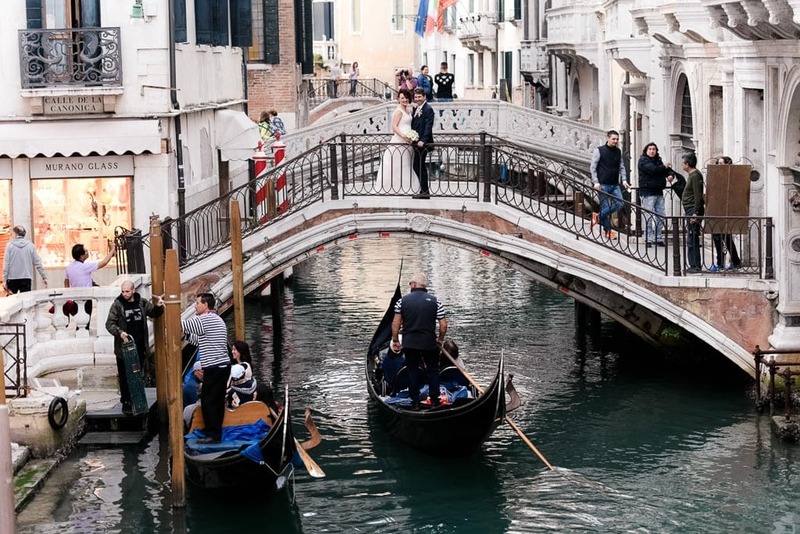 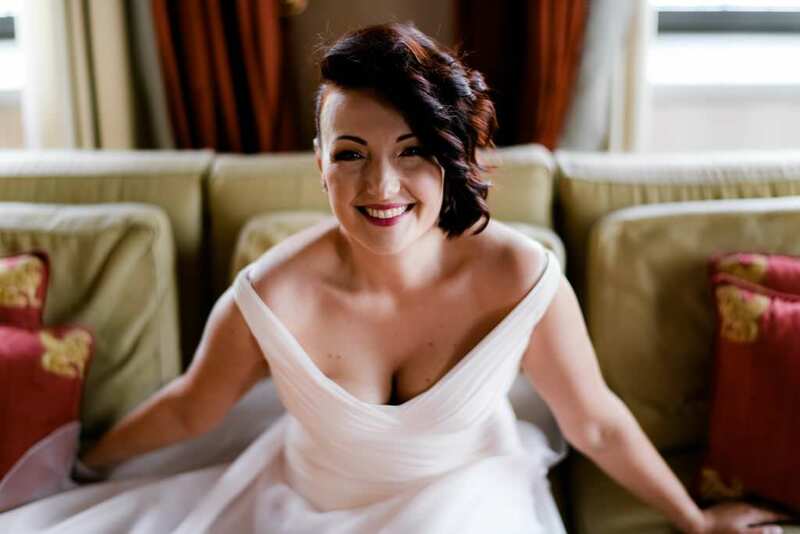 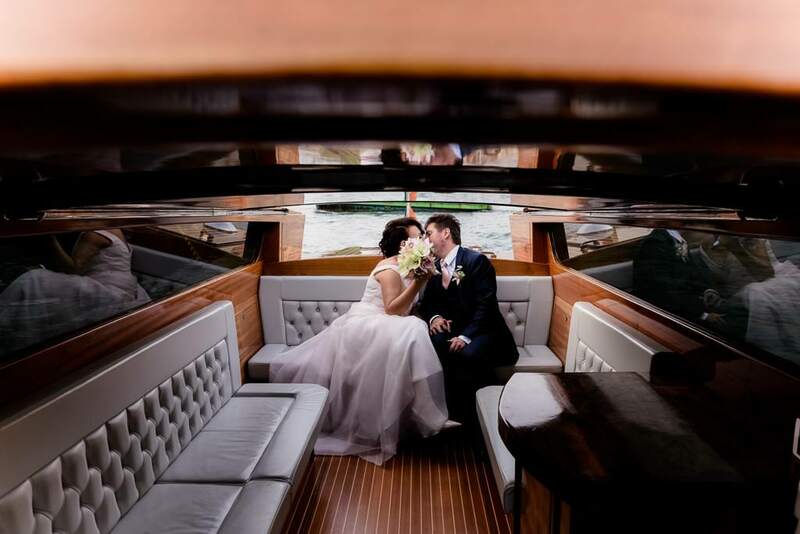 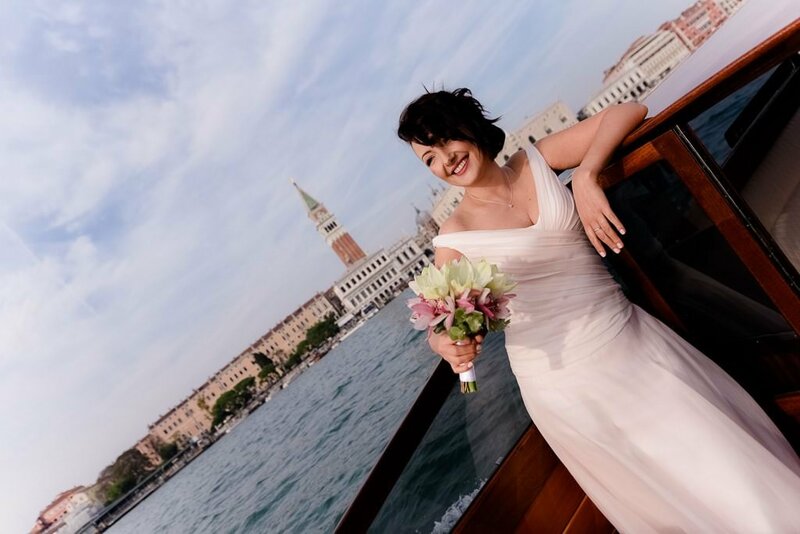 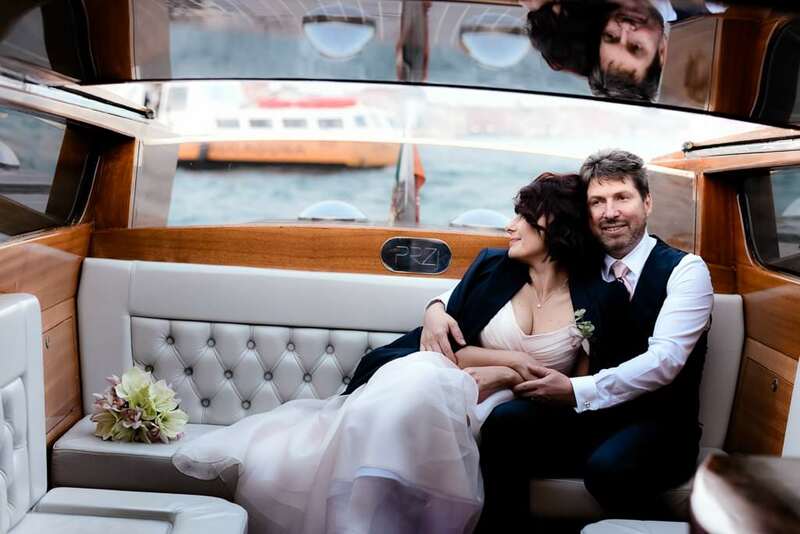 Vita and Yuriy are a lovely couple who chose Venice as the perfect location for their wedding. 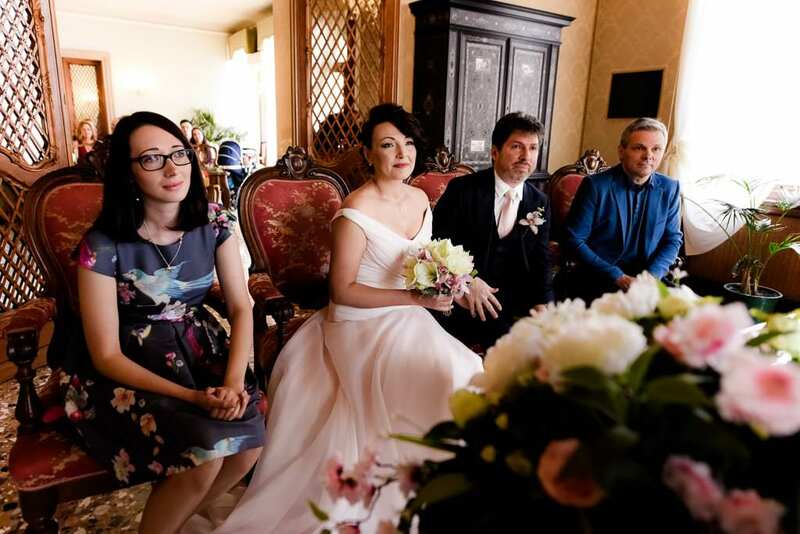 A beautiful autumn day, a lot of friends and a great party! 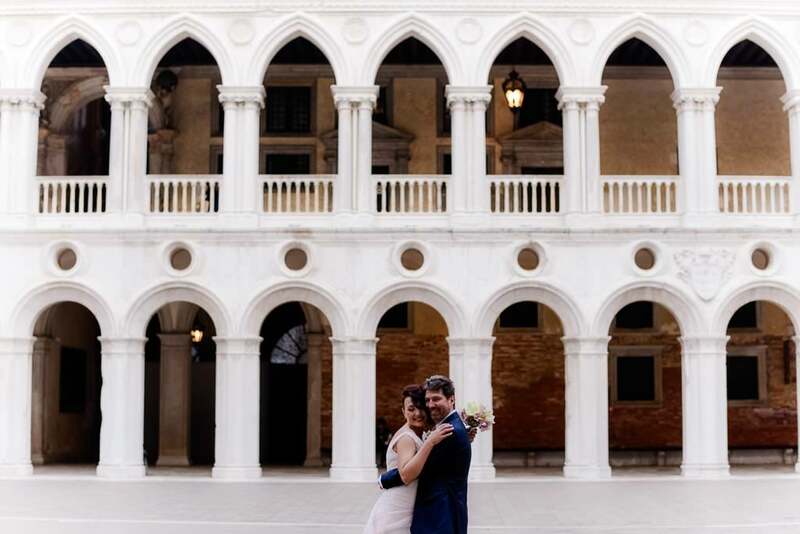 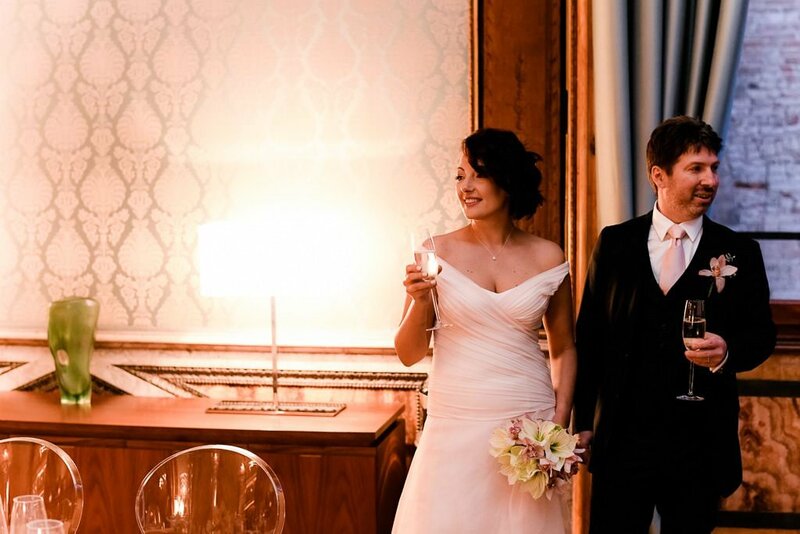 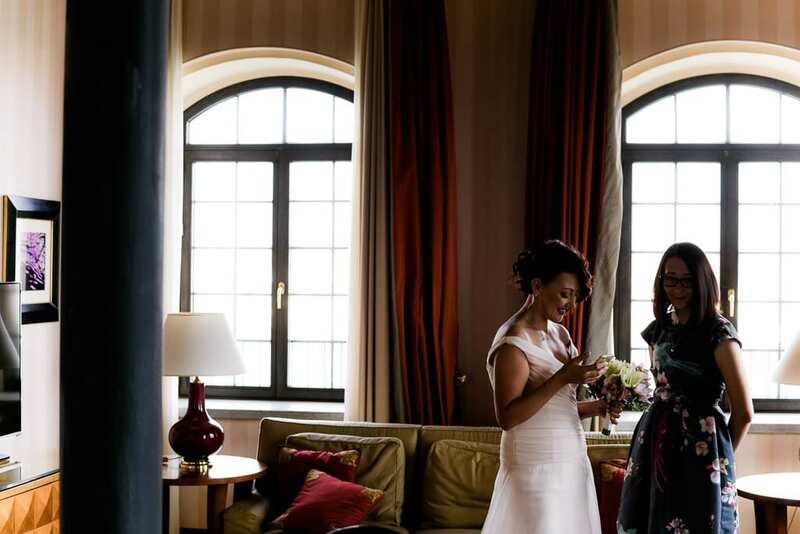 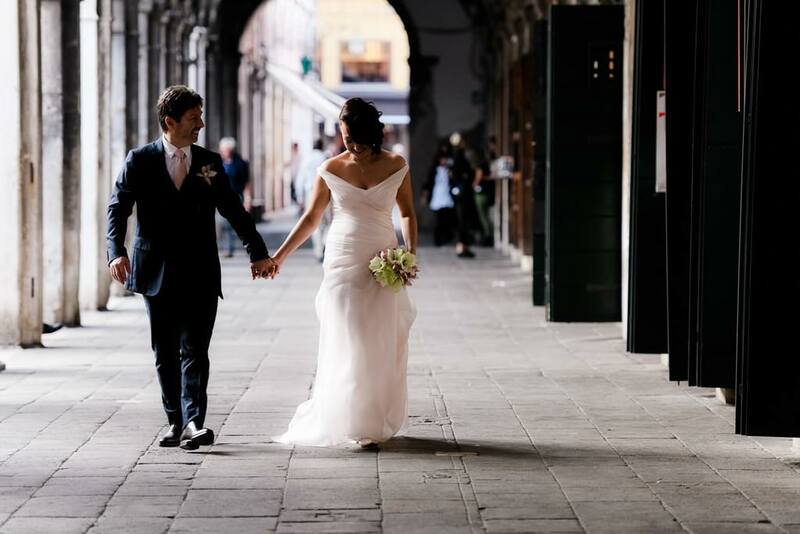 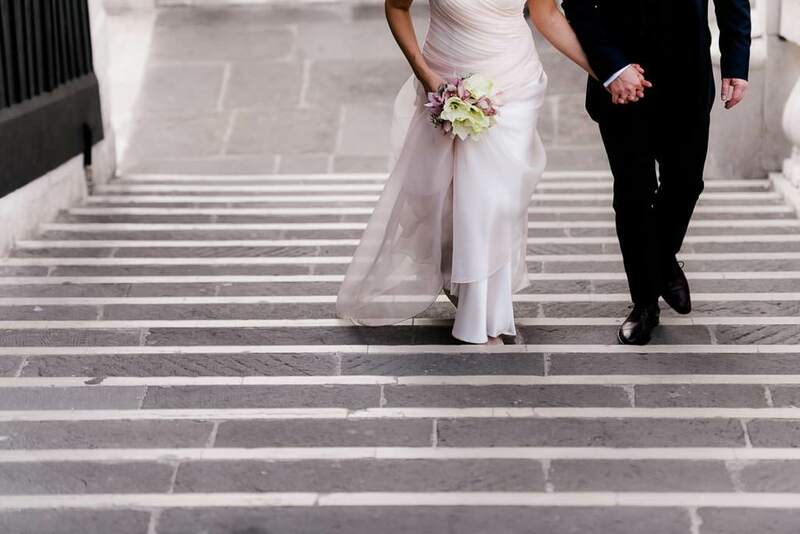 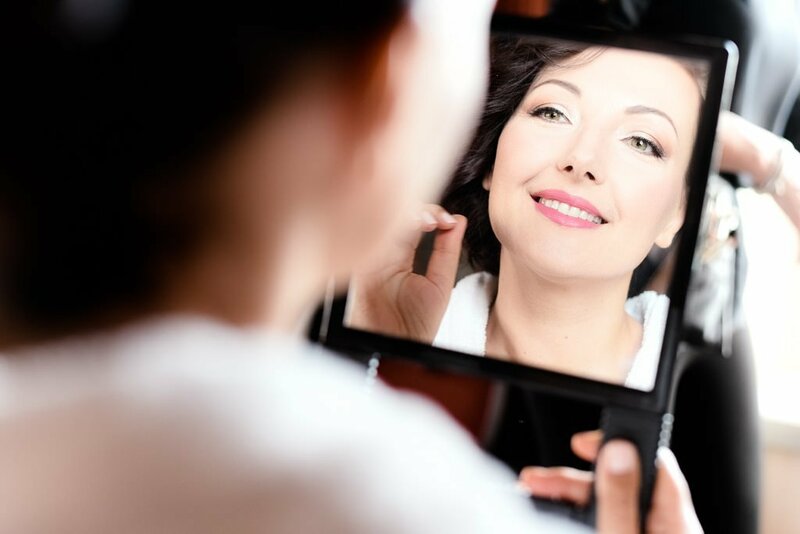 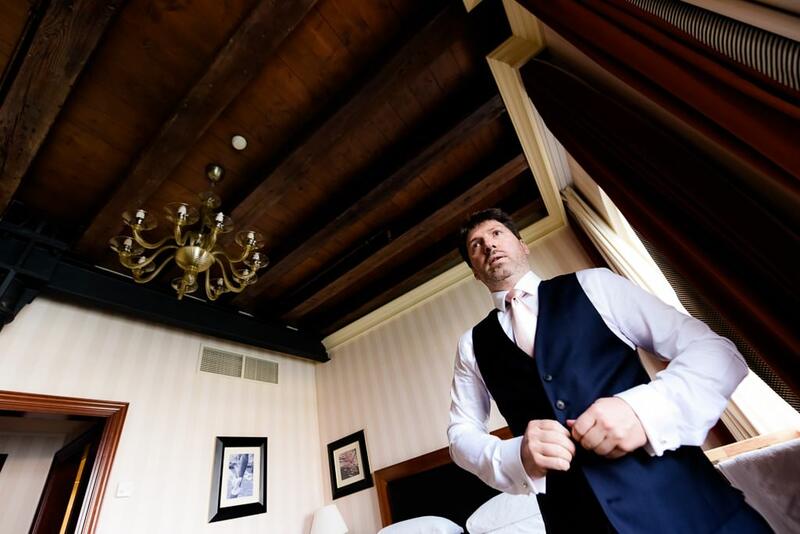 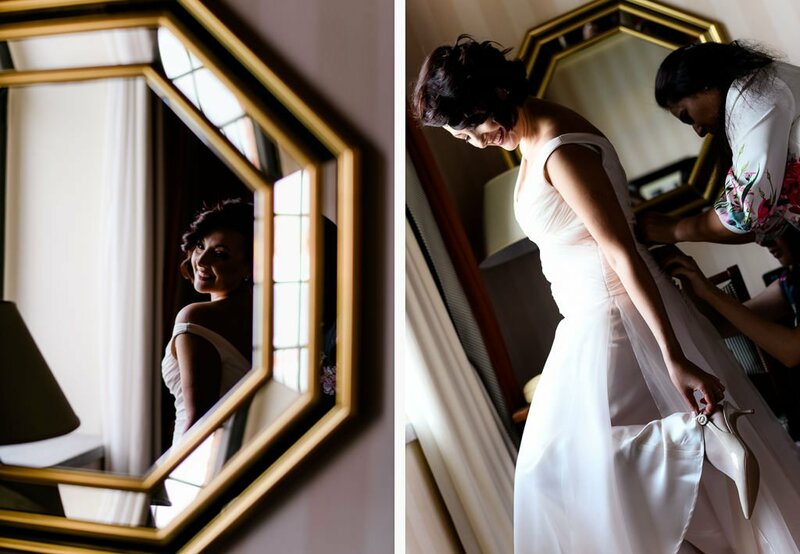 Vita and Yuriy got ready separately in the beautiful Molino Stucky, a stunning early-900 building in the Giudecca. 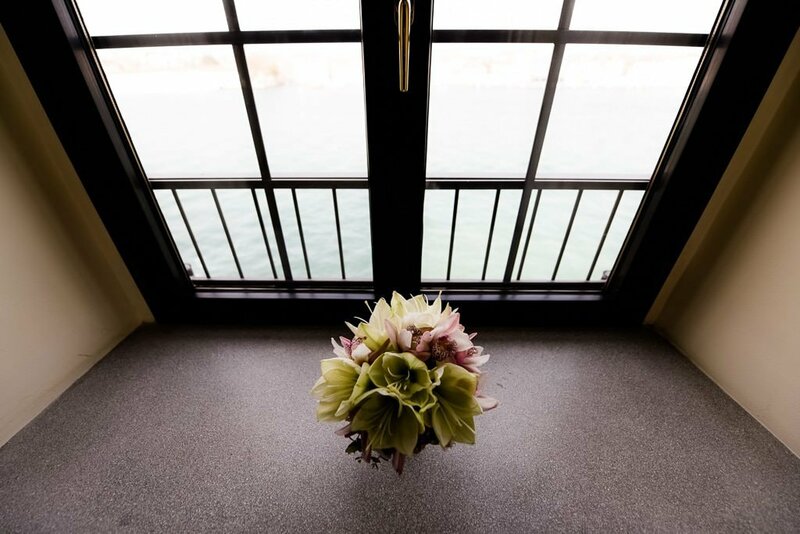 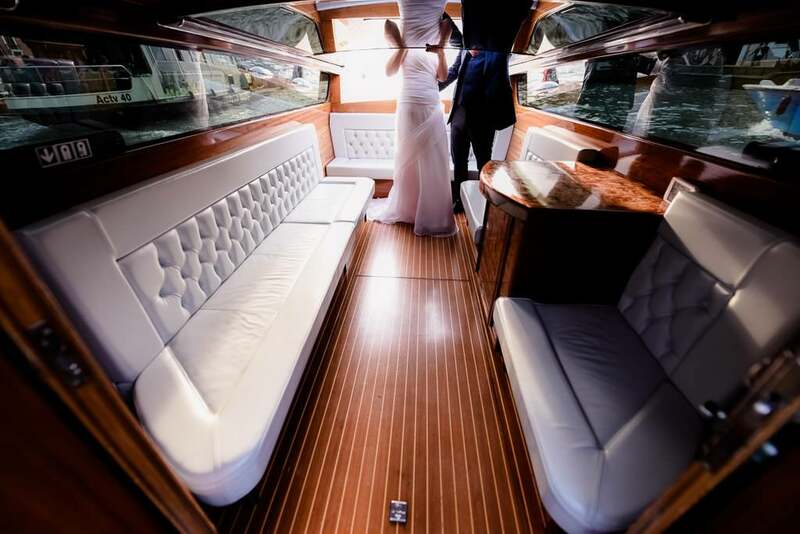 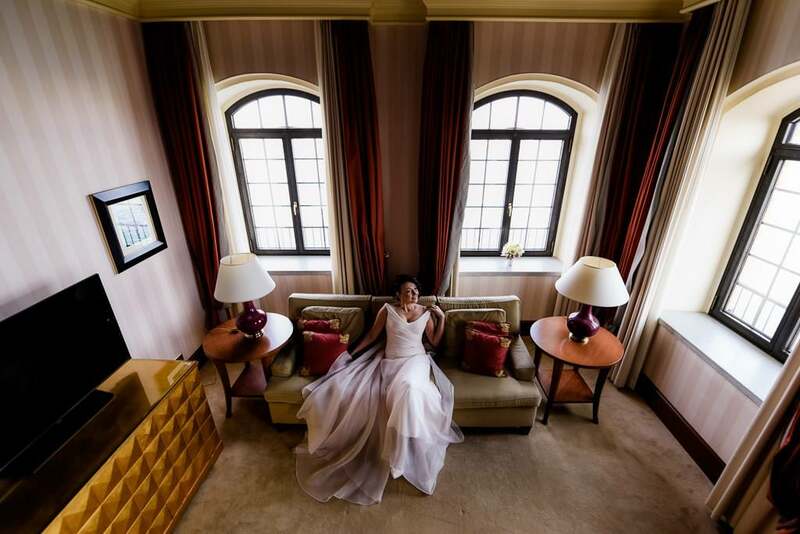 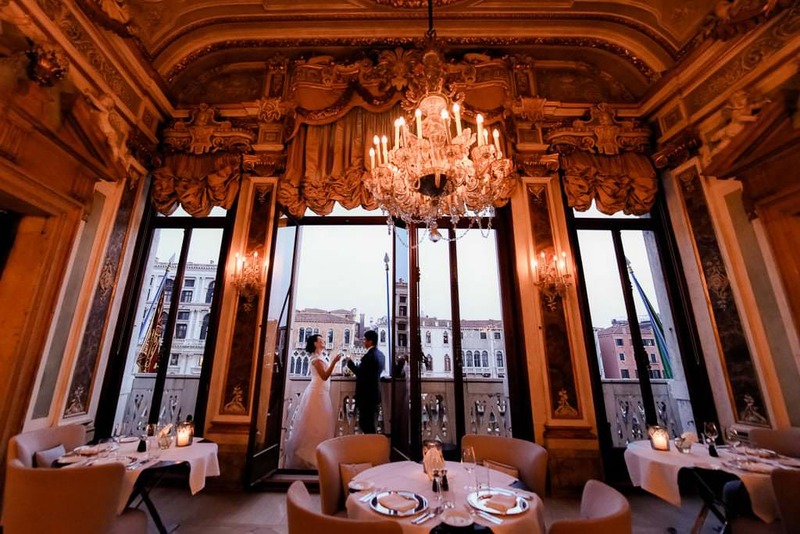 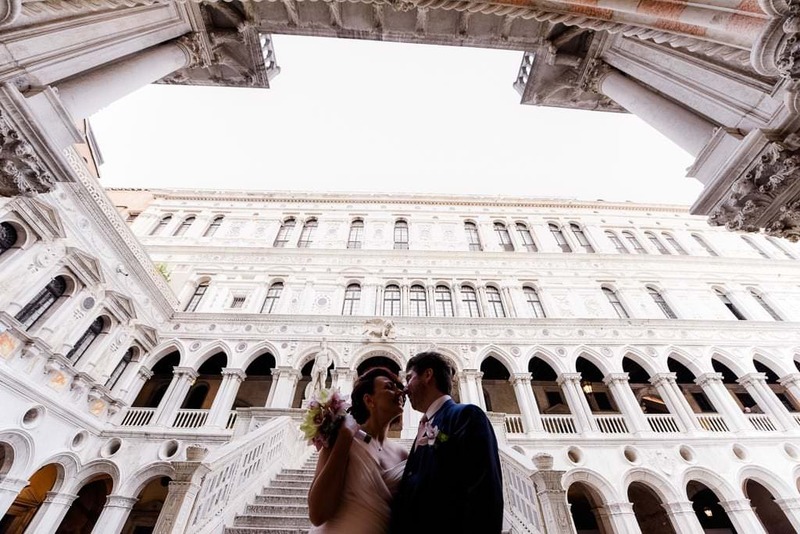 From there, they took the water taxi to get married in an intimate and romantic civil ceremony at the city town hall, the beautiful Palazzo Cavalli. 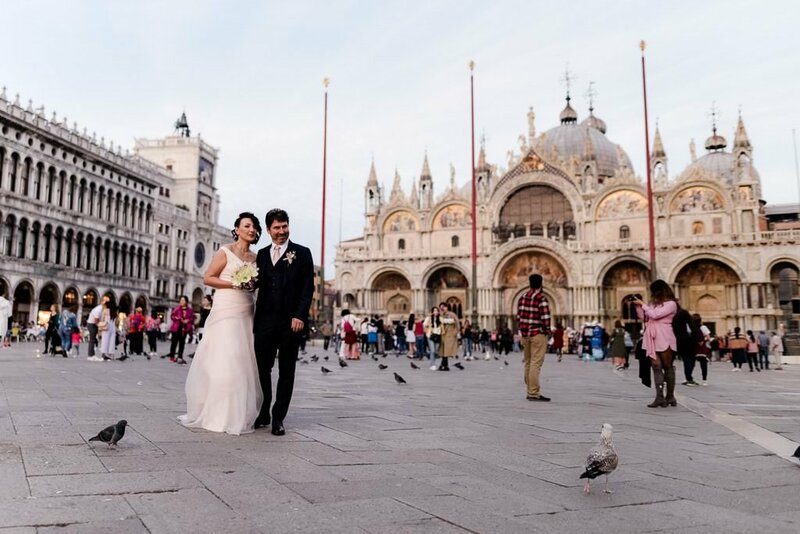 After the wedding, we had the chance of shooting around the city: Venice was so beautiful in that warm October afternoon! 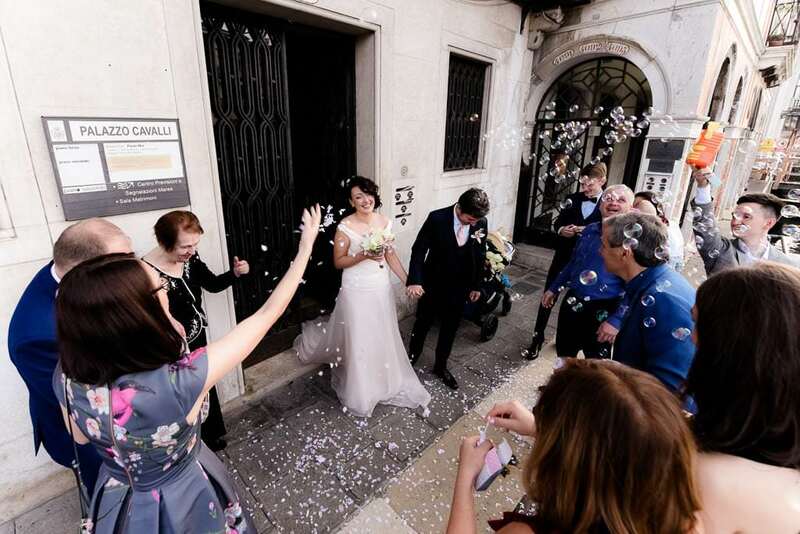 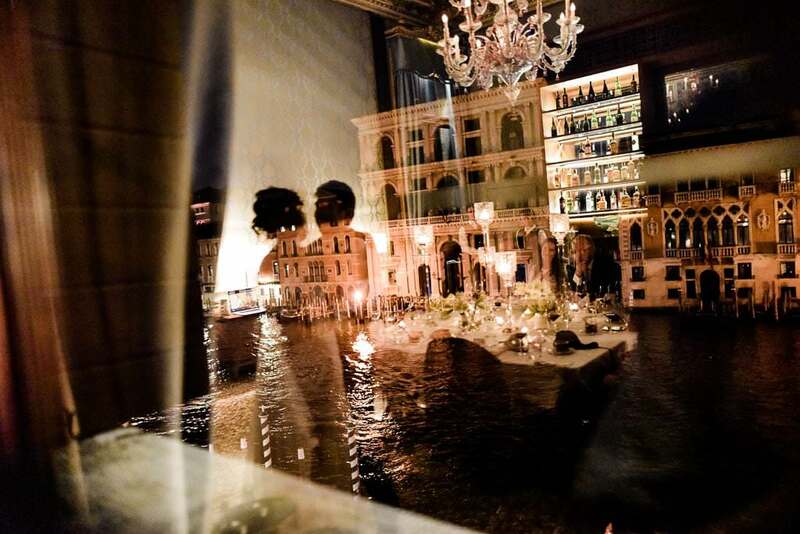 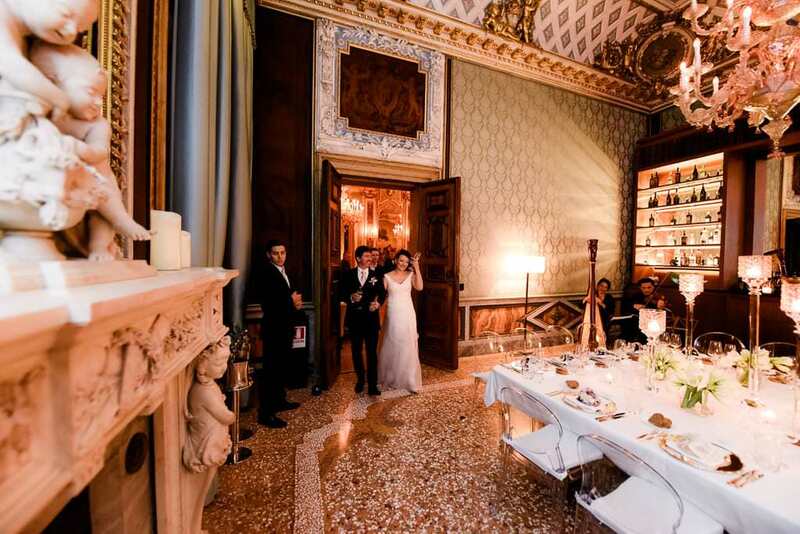 They had their reception and party in the stunning Aman Palace, a perfect setting for a romantic wedding in Venice.